Oil on canvas, 50/70 cm (I think…) This work was made few years ago and sold to a nice woman. I like working with oil paint, it’s a very smooth and flowing medium. There is also something nice in painting flowers. Maybe it is not such a surprising image, but it is pleasant to the eye. 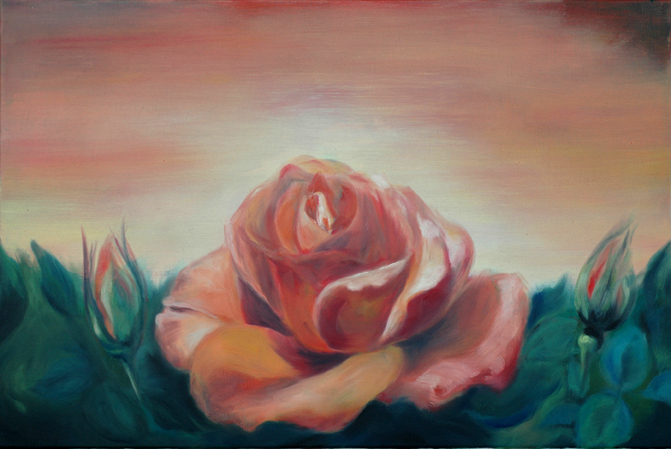 The combination between the two, oil on canvas, and flowers (especially a rose), makes the painting work pure pleasure. I miss working with oil paint, so I guess I’ll come back to it after I finish my final project.